Much has been said and written about the reunification talks in Cyprus, since Mustafa Akinci has been in office as President of the TRNC. He drives the process forward and speaks repeatedly about necessary time frames, so as not to lose sight of the objectives. Loucas Charalambous, an author writing for the Greek Cypriot online newspaper Cyprus Mail, repeatedly writes critical articles and commentaries on politics and media in the southern part of the island. Here is his latest comment on the ongoing negotiations between the TRNC (Turkish Republic of Northern Cyprus) and the RoC (Republic of Cyprus). 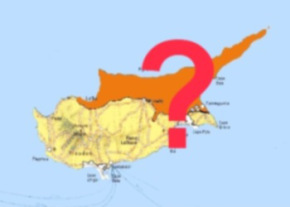 ONE WORD that our irresponsibility and stupidity has linked with the handling of the Cyprus problem in the last 10 years is ‘time-frame’, the mere utterance of which causes panic among the rejectionists and awkwardness among the rest. It has acquired such negative connotations that even the politicians that supposedly belong to the pro-settlement camp like [GC] President Anastasiades, feel the need to declare, regularly, that they do not accept ‘time-frames’ in the negotiating process. They do this in a state of fear, terrified that they would be attacked by Lillikas, Papadopoulos and their like for not objecting to a ‘time-frame’ which could give rise to the danger of a solution. The word has moved to the centre of public debate again, after [TC] Mustafa Akinci stressed the need of speeding up the procedure so there can be a result in the next few months. On August 12 he set as a natural time-frame the parliamentary elections in May, and he was right. As I have always argued, if the political will existed, the Cyprus problem could be solved within a few weeks. After 38 years of negotiations (they commenced in 1977), there is nothing that has not been discussed exhaustively. Everything that needed to be said was said long ago by both sides. It is decisions we need now. But it is becoming clear that only the Turkish side is prepared to take them. [GC] Anastasiades does not dare do so and that is the problem. As soon as [TC] Akinci spoke of speeding up the procedure with a view to reaching agreement by the end of the year, [GC] DIKO, EDEK and Lillikas started their usual barking. 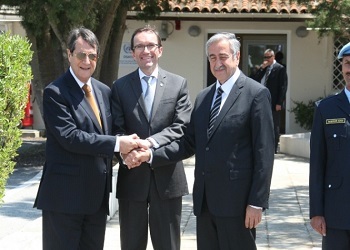 Anastasiades, fearing he would be misunderstood, rushed to declare (in a churchyard in the Troodos mountains) that the Greek Cypriot side has been fully ready for serious negotiations for 41 years now, but does not accept time-frames. Who knows, maybe in the next 41 years we might agree to set a time-frame. On August 9, the [GC] government spokesman Nicos Christodoulides, asked if he shared Akinci’s optimism, responded that he considered “2016 would be a critical year for the Cyprus problem.” Interesting to note that he did not say it would be the year of settlement but a “critical year”. For a solution, we are looking beyond 2016. It is insane that the Turkish side is in a hurry for a solution even though, as every fool knows, the fruitless passing of time benefits it, while we want to take things as slowly as possible. Instead of us asking for time-frames, they are proposed by Akinci and we reject them. In reality, because of his lack of courage, Anastasiades is pushing things back to 2018, following the example set by [former GC president] Christofias. I fear the results will be the same. With his delaying tactics, Christofias managed to see [former TC president] Mehmet Ali Talat voted out of office in 2010. Is there not a risk of the same thing happening to Akinci if Anastasiades carries on in this way? I am afraid that as a result of the delaying tactics it is possible that the latest procedure will collapse sooner than we imagine. Turkey is unlikely to accept excessive delays, at a time it claims our side is making agreements regarding natural gas. 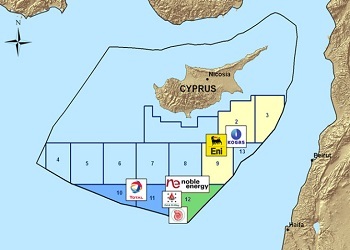 If the talks procedure is delayed and our side proceeds on the issue of hydrocarbons in a way Turkey considers ‘unilateral’, there is every chance Anakara would use this as a pretext to send the Barbaros [seismic vessel] into the Cypriot EEZ [exclusive economic zone] again, in which case everything will fall apart and God knows when we will get of such a mess again. In this sense, the government spokesman may be proved correct in predicting that 2016 will be a “critical year”, not because of a settlement but because of a non-settlement. I have often said that politics is about correct and timely evaluation of prevailing conditions, but Anastasiades and his people, who are in no a rush and think they have all the time in the world to engage in tactical manoeuvres, have not yet grasped what politics is about. Loucas Charalambous may be the most sincere & unbiased journalist in RoC. Lovely piece by Charalambous with some really valid points, unfortunately I don’t see the relevance of promoting a journalist on this site, he has his space in the newspaper he writes for. I really hope locals would get involved and give there views as to their hopes for the future and how they see a way forward rather then opinions of a journalist.